There are a lot of concept phones out there – designs that look cool but will likely never make it to production. If you scroll through this post by “Dainis” on HonkKiat.com, you can see some fun ones. But are they really futuristic? Almost all have keypads – I think the keypad won’t last that much longer, on phones or computers. We already have speech to text. The keypad is a dinosaur. The Nokia 888 Mobile Phone is the one exception, using speech recognition. Many of these designs focus on portability – Many propose to take advantage of OLED, a flexible screen material, allowing the user to roll the phone up to reduce size when not it use. Non-integration – The Internet of Things #IoT is leading us towards smarter objects that will form a “wider network” in our worlds. The VoIP phone is perfectly suited to be your hub of the IoT. These designs ignore the inevitability of the IoT. In the future, phones will be able to do less, but do it more efficiently. Essential functions like memory, keypads, and batteries will be distributed and shared by the objects in our lives. This means your phones will be smaller. 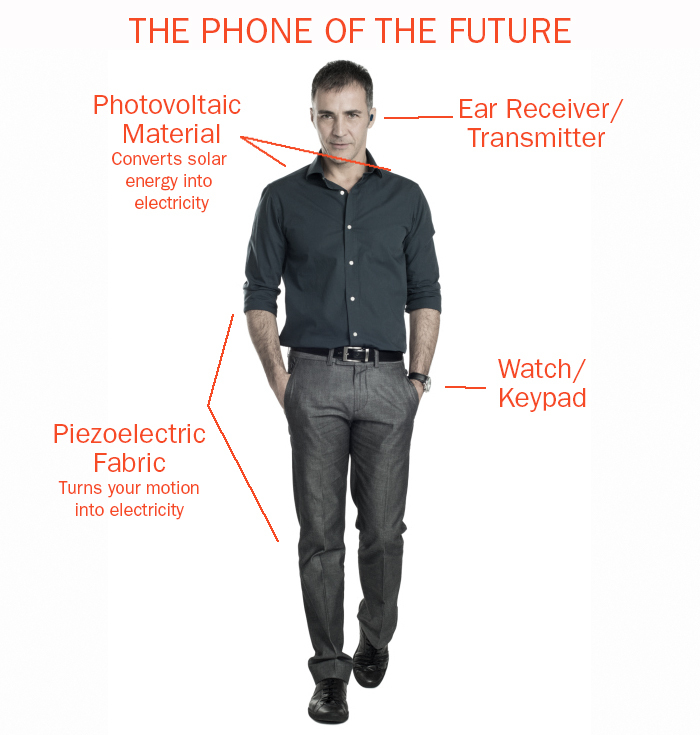 Here is our idea of a phone of the future. We’re focused on ways to help businesses use technology to succeed. For instance, have you checked out our Voice Continuity Plan? It allows your company to remain in contact with your clients, customers, partners, and suppliers in the event that your traditional communications is compromised. Your entire phone experience is replicated in the cloud, so power outages and disasters won’t interfere with your communications.